The 2018 Mozart Cup ended on Sunday with the Interclub categories like Mixed Age, Senior B, Basic Novice, Juvenile or Adult. These divisions conclude a new successful edition of this famous international competition in Austria. The Mixed Age category was without a doubt the most attended event on Sunday. The 23 participating teams have been split up into two different groups A and B depending on the athlete's size (Mixed Age A: 8-11 skaters, Mixed Age B: 12-16 skaters). 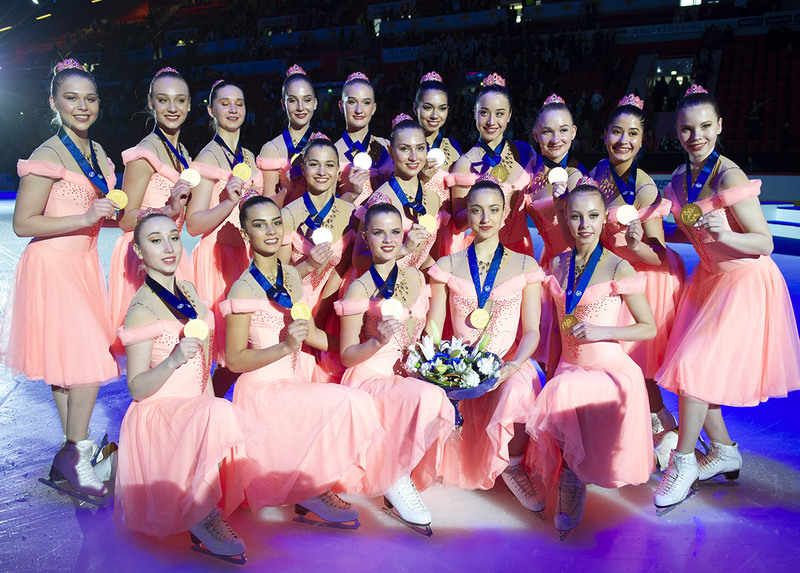 In the Mixed Age A division, the German Team Butterfl’ice took the gold in Salzburg with 48.91 points. Another team from Germany, Saxony Ice Pearls, sat in second place with 44.12. A good job has been done by Team Frostwork, representing Hungary that finished with the bronze title and 43.10 points. The category gathered also teams from Czech Republic, Italy, Austria, Australia, Ukraine, and Croatia. The level was higher in the Mixed Age B category. A total of 12 teams were competing in this division. 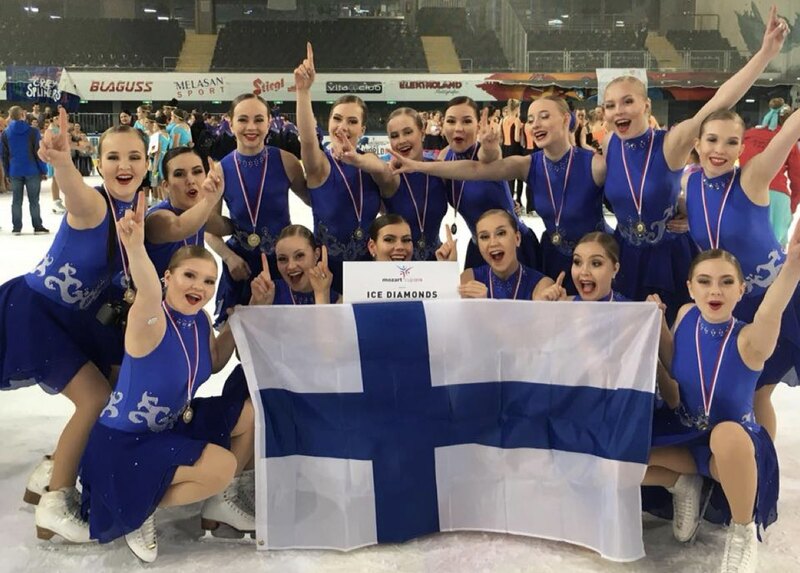 Ice Diamonds from Finland won the competition with a great score of 59.64. For the next two teams, the scores were very tight. United Angels (GER) finished with the silver title and 56.28 points. 0.06 point behind, the Finnish Ice Confusion earned the bronze (56.22). After a good program, Ice on Fire from Italy finished 4th. The battle was also tough for the 5th place. Only 0.69 point separates the Swiss Snowflakes (5th) and the Sun City Sound from Finland (6th). Starlets, who were 3rd at the Berlin Cup a few weeks ago, placed 7th. In the Senior B division, four teams were competing. The podium was exclusively « Swiss ». The victory went to the Cool Dreams Royals who earned 66.30 points. Starlight Jewels finished 2nd with ten points less and Team Saphire from the city of Basel was 3rd (53.99). The German team Magic Moonlights also competed in this division. Seven Adult teams competed also on Sunday. Best Before, a team from Finland, earned a highest total score of 54.66 points. Ice Chicas Czech Us placed 2nd and Cool Dreams Crystals finished 3rd. The youngest skaters also had a place in Salzburg. 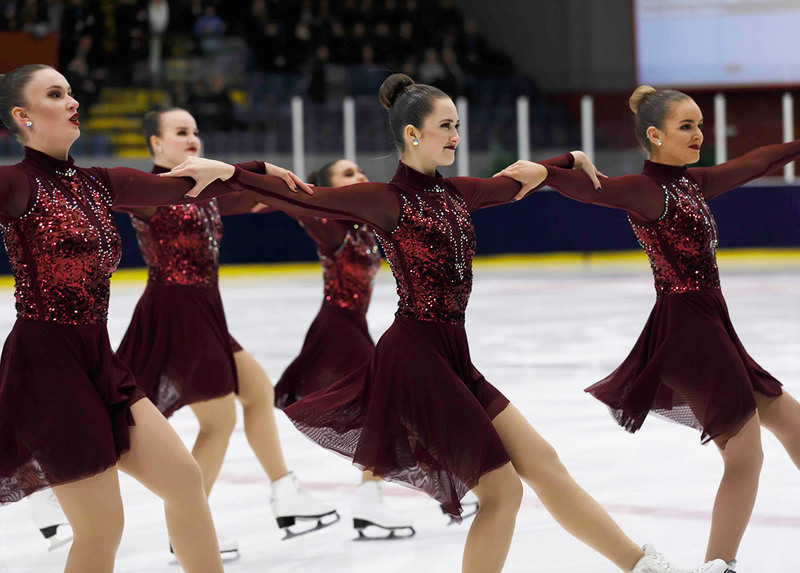 Nine teams from five different nations skated in the Juvenile division. Mini Starlets from Germany did the best score (27.10 points). In the Basic Novice A division, Hot Shivers won the competition with an amazing total of 51.85 points. But the scores were even higher in the Basic Novice B division. Saxony Ice Pearls Novice from Germany finished with 58.97 points! It’s quite as high as the best Mixed Age teams. Two Czech teams completed the podium: Kometa and Big Bang. On Saturday evening, Novice Advanced, an ISU division, competed also. The podium was very Finnish: Starlights (57.08), Valley Bay Synchronics (47.07) and Ice Energy (45.79) were the medallists. Sun City Synchro finished just behind with a total of 45.42 points.